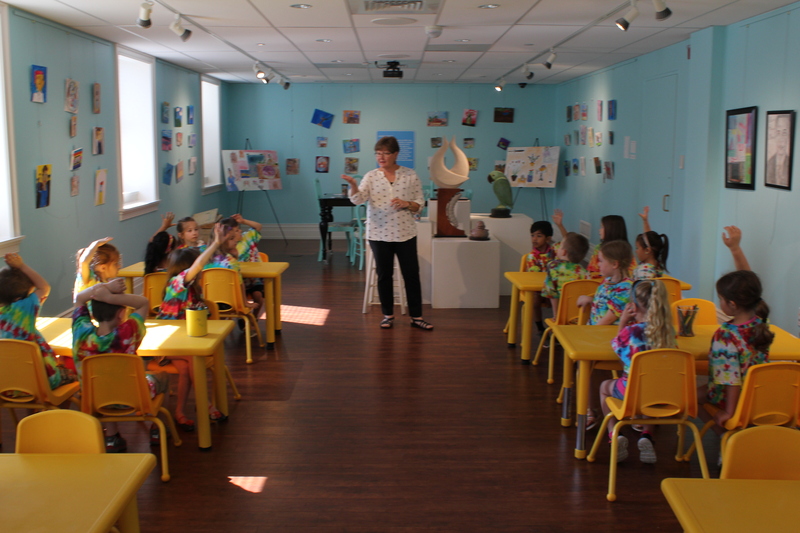 The Biggs offers free tours to schools, youth groups, after-school programs, and camps. Groups can select from a selection of existing tours or our staff can tailor one to your needs. A library of our tours and lesson plans can be viewed using the link below. These offerings can either be give onsite at the Biggs by a staff member or educators are welcome to use the lesson plans and corresponding downloadable slideshows in their classrooms. 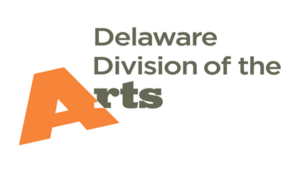 Tours are designed using the most recent set of standards for the visual arts and incorporate multiple subject areas. 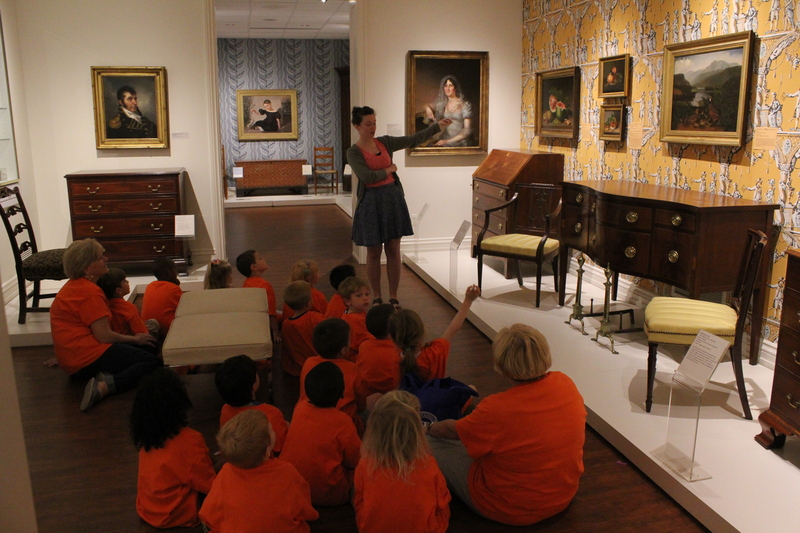 Each tour is accompanied by a creative project designed to help students make cross-disciplinary connections and apply the knowledge they’ve gained through observation of the Biggs’ collection. 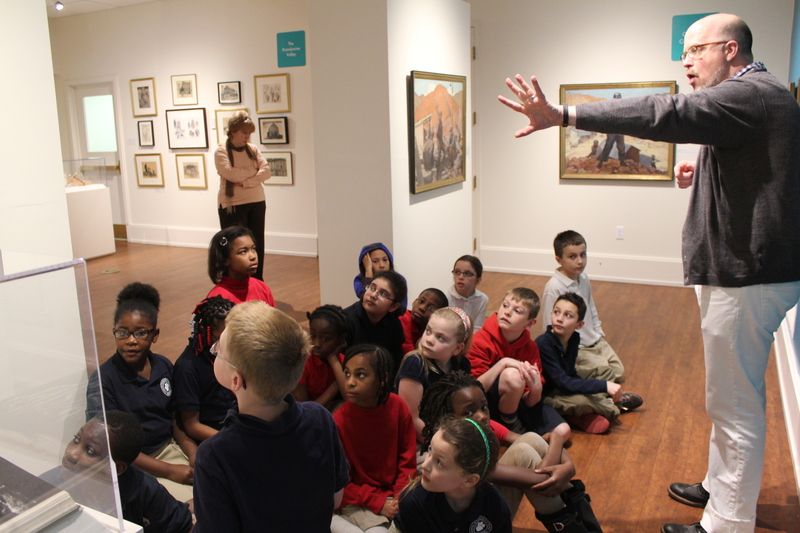 To book a school tour or for inquires about the lesson plans, please contact our Curator of Education Fellow, Regina Lynch at rlynch@biggsmuseum.org. Please note: school tours must be booked at least two weeks in advance.